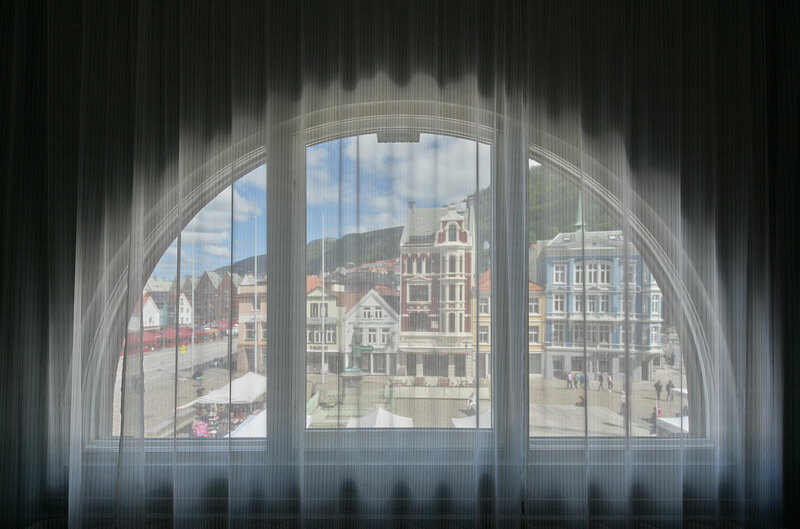 Bergen Børs hotel is giving a second life to the Norwegian city’s former stock exchange, while retaining many of its historic features. Guests can stay in the old manager’s office, behind soundproofed doors, and dine under the gaze of a former CEO – whose bust now watches over the restaurant that occupies the former Chamber of Commerce. 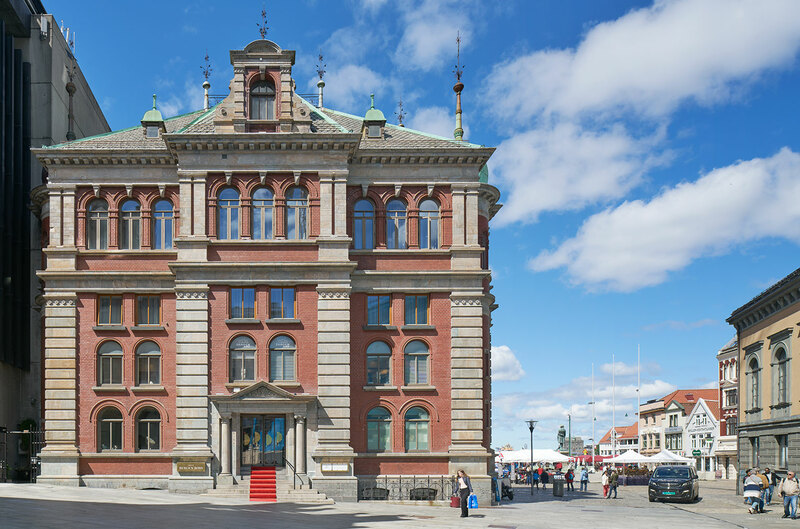 Swedish studio Claesson Koivisto Rune masterminded the adaptive reuse of the 1862 stock exchange building, merging it with two neighbouring structures to complete the Bergen hotel. 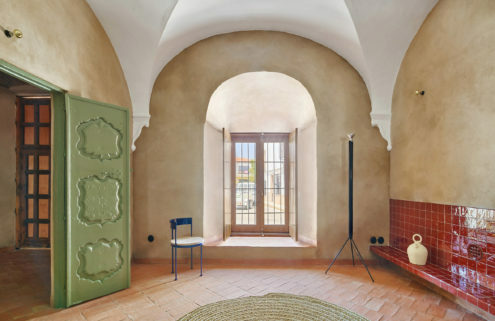 The interiors were a key part of bringing everything together, and the studio developed a palette of muted greys blues and browns that allowed the hotel’s existing details to shine. Some of Bergen Børs’s 127 rooms retain their original stained glass windows, while others feature coffered ceilings and parquet flooring. 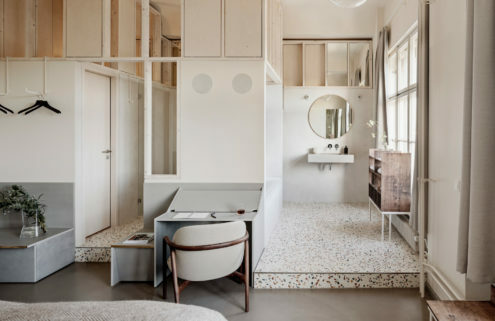 Claesson Koivisto Rune added subtle patterns in the form of pinstriped wallpaper and drapes, houndstooth upholstery, grid-patterned carpet and chequered tiles – as a nod to the suited and booted workers that once occupied the building. 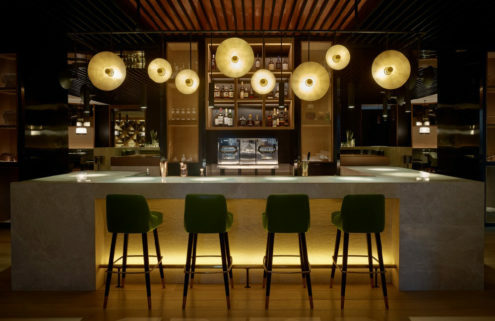 Elsewhere in the Bergen hotel, bespoke mirrors have been cut to match the bar’s decorative wooden panels, which date back more than a century. 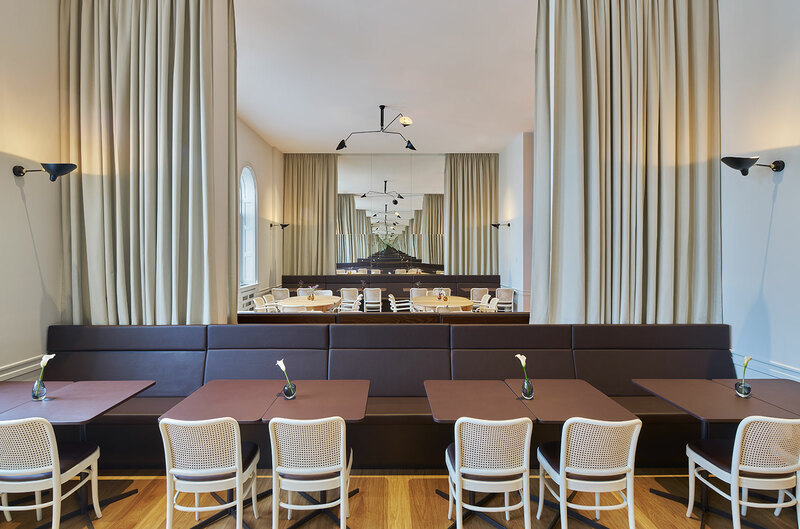 Diners in the bright and airy Bare restaurant sit on classic bentwood chairs by Thonet, surrounded by wood, leather and marble, also chosen as a reference to the Bergen Børs’ past. 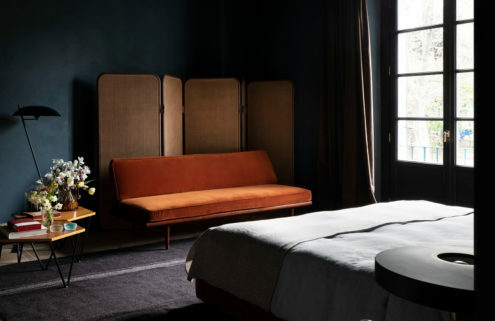 Bergen Børs is the latest in a series of new hotels – all designed by Claesson Koivisto Rune – opened by the family-run De Bergenske, which is focused on developing its offering in Bergen, rather than several cities at once.